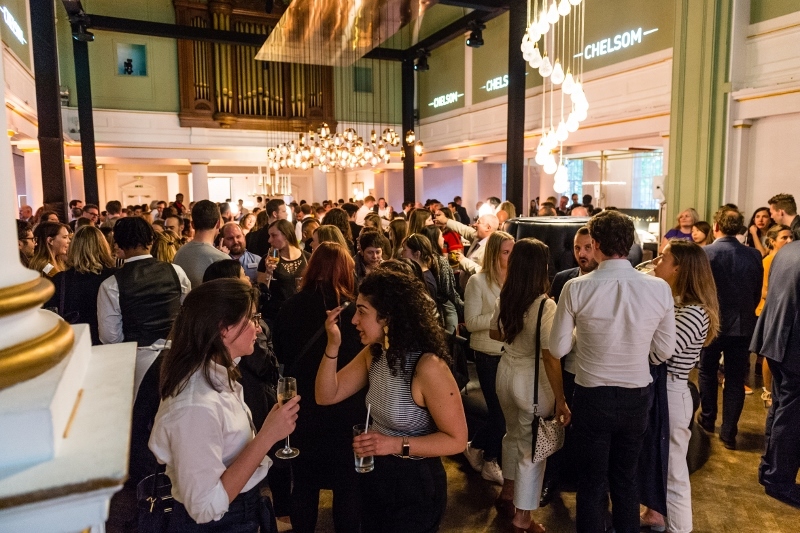 Two years after the lighting company’s last major launch, Chelsom has just debuted Edition 26 in the appropriately majestic One Marylebone in London. With such a unveiling of so many new and dynamic products, we wanted to put the spotlight on the creative leaders behind the brand’s success. Hamish Kilburn: What’s been the most challenging part of creating Edition 26? 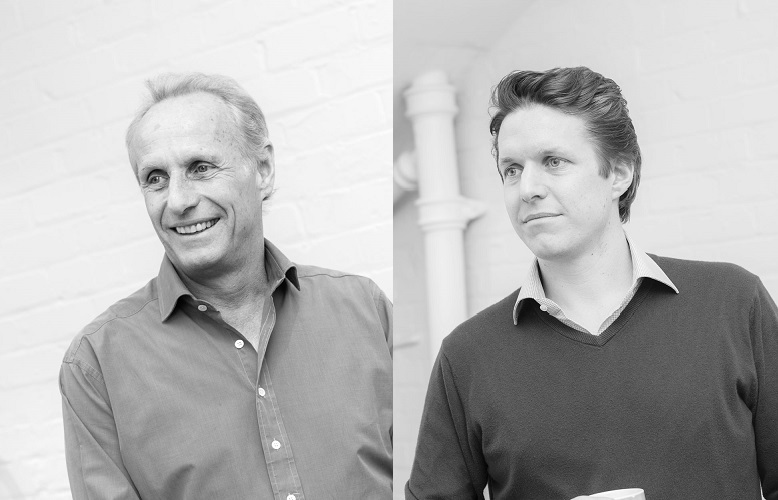 William and Robert Chelsom: In all the years we have been working within the lighting industry, never has there been a more exciting time to be designing lighting. Triggered by fashion cycles, interior trends are moving increasingly faster and in doing so constantly stimulate new design directions when it comes to finishes and materials, which is something we have given careful consideration to and is what makes designing a new collection equally exciting and challenging. An increasing thirst for individuality is something which is equally important for us when it comes to refining our new collections. We are constantly looking to evolve new concept directions and as such, we do start with a clean white sheet of paper, albeit the paper may be framed by the restrictions of budget, function and dimension. That is the design challenge and that is the fun! Edition 26 has been a fantastic collection to produce – we think it’s our most ground-breaking to date. HK: Can you explain the hands-on approach you both take when it comes to designing the collection. What key elements do you think about? W/RC: For Chelsom, design has always been the driving force. 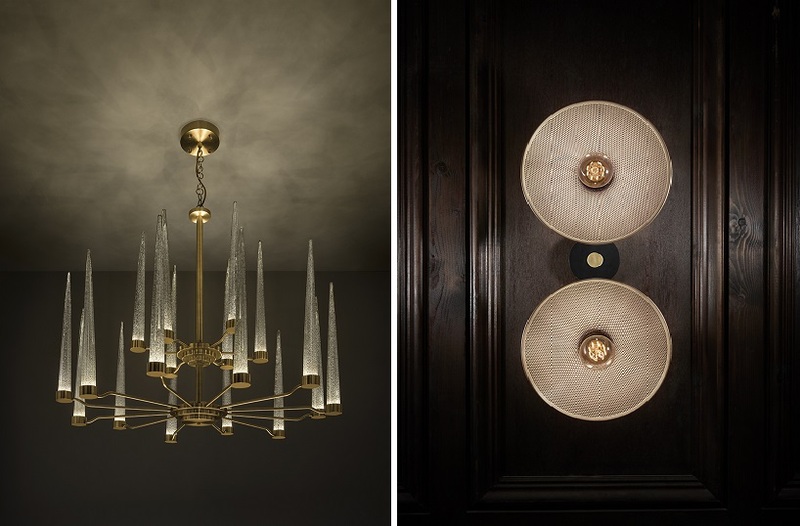 We recognise that well-designed and unique lighting products can enhance and transform an interior design scheme. An intimate knowledge of various client market sectors helps us to shape initial design concepts which then become sketches, technical drawings, 3D renderings and prototypes – all produced in-house. Good design is not limited to aesthetics and should incorporate function, durability, the latest technology and value engineering. Today’s traveller notices and appreciates good detail and understands that it sets one hospitality brand apart from another. Chelsom constantly design into their ranges those small but significant details which make a product unique and stand out. Engineering details improve quality and function too, ensuring designs incorporate the latest technology and last for the long term. At Chelsom we are pretty unique in that we design the entire collection in house from initial product sketches to. Despite our collection having only just launched, we are already thinking about Edition 27 – design never sleeps! We make a concerted effort to keep up to date with emerging industry trends and developments and make sure they are fundamental in our product designs whilst also working closely with clients to understand their pressures and requirements from multiple perspectives including design, quality, function and budget among others. 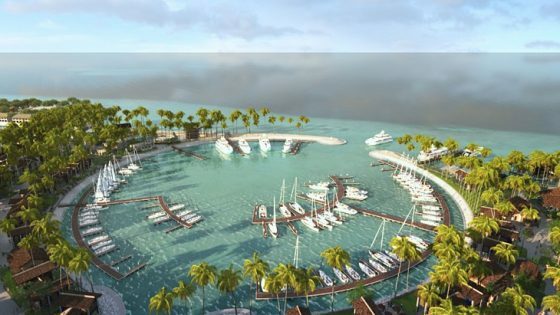 Given that we specialise in one area which is the Hospitality sector (Cruise included), we design products that designers and operators can use specifically in these applications which helps us stay focused and ensures our designs are relevant and on the button. HK: What would you say are the main emerging lighting trends at the moment? W/RC: Lighting is, as with all areas of design, constantly evolving and never stands still. This makes it an exciting industry to be part of. Having said that, though, it’s unlikely there will be much in the foreseeable future to rival the LED boom which has really transformed and shaped the future of lighting in recent years. We are working hard to develop even smarter ways of integrating LED light sources without losing ambiance, such as increasing the options with diffused and reflected light. In terms of the aesthetic side of things, trends come and go but clients will always want a little something extra when it comes to product design- it’s about adding small design intricacies to make a fairly simple product special. There has been a distinct shift in the style of hotel lighting schemes over the last 18 months. People definitely want to see more individuality when it comes to design. We are starting to see a much more eclectic mix in terms of both styles and fittings especially in the guestrooms. Colours are bold and designs are becoming more out there and individual leaving behind the ‘co-ordinated’ style that has been so popular previously. The lighting in public spaces is all about taking this idea of individuality using it to create a unique lighting experience by commissioning bespoke pieces and spectacular show-stopping designs integrated in to ceiling structures. Another key trend is the rise of the residential look. Guests want hotels to feel like a luxurious home away from home and they want their guestroom lighting in particular to reflect this, to be stylish yet functional. One of the big challenges for us is creating this residential look yet maintaining the contract function and quality. After threatening to do so for a number of years, brass is definitely making its comeback. 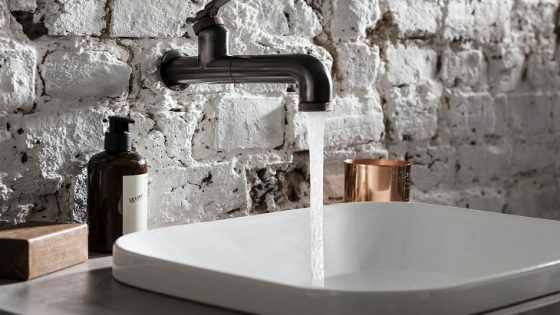 Previously, polished brass has been the fashion, but this time it’s much more in the way of alternative brass finishes that are becoming the most popular choices including satin, antique and brushed. HK: What’s next for Chelsom Lighting? W/RC: That would be telling….. In all seriousness our plan is to stick to what we know and strive to keep doing it better and better. We don’t want to diversify and want to continue to be seen as one of the best decorative lighting suppliers to the global contract market. We are lucky enough to work on respected projects around the world and long may that continue. HK: How can designers use lighting to lift a period building’s interior while remaining sensitive to its heritage? 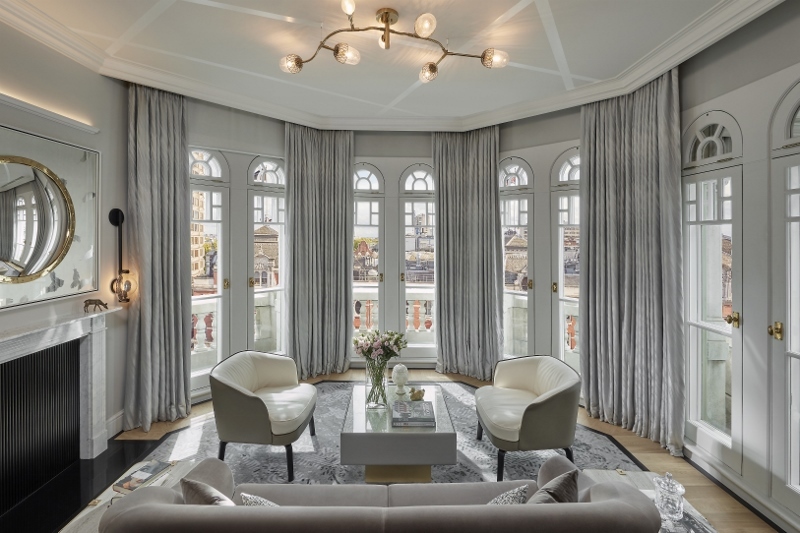 W/RC: Often the heritage of a building and inspirations from the surrounding area in which it’s located are intrinsically woven in to the interior design scheme and lighting is no exception. It’s important to get the blend right between embracing developments in design and new technology whilst at the same time remaining sympathetic to traditional features, allowing the lighting to enhance the interior and authenticity of the building as opposed to dominating the whole aesthetic design process. 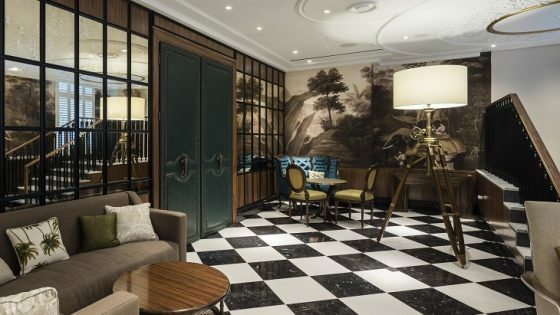 A recent example of where we were briefed to execute such a lighting scheme was for Mandarin Oriental Hyde Park London where we took inspiration from the textures, forms and colours found in London’s iconic Hyde Park and worked closely with the interior design team to create an eclectic range of fittings in a variety of different materials all of which required a complex range of manufacturing techniques. In keeping with the nearby Royal Horseguards Parade, corridor and bathroom light fittings were manufactured using synthetic horse hair. Bathroom wall sconces show the hair wrapped tightly around metal backplates to act as reflectors to the backlit light sources while magnanimous square pendants adorned with ribbed glass rods and ponytails of hair line the corridors to give a truly unique experience. In the public areas we remained sensitive to the period architecture of the interior creating modernised balustrade mounted light fixtures in the main entrance lobby which continued the overarching theme of crackled glass tones with rich brass metalwork.